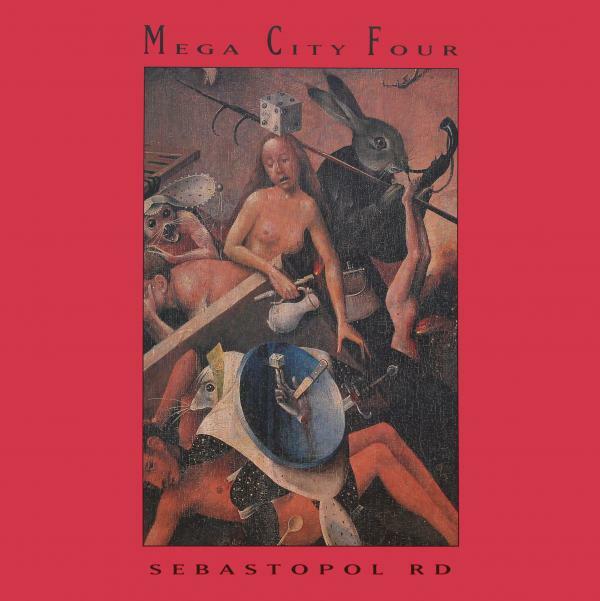 Sebastopol Rd was Mega City Four’s first album for their new major label home, Big Life and is now re-issued across 2CDs with 10 previously unreleased tracks. With the success of debut album Tranzphobia, follow up Who Cares Wins, and a constant touring schedule around the UK, Europe and the US they built up a solid, devoted fan base easily identifiable in one of the many MC4 t-shirts. By this time, the band were appearing on the front covers of the NME and Melody Maker and the crossover to a major label was no great surprise. It features the Top 40 hit ‘Stop’, ‘Prague’, covered by Muse in 2010 on the Resistance single as a tribute to the band who had influenced them, and CD1 now includes the two singles (plus their attendant b-sides) Words That Say and Shivering Sand, their highest charting release. This lovingly packaged set comes 21 years after the initial release and gathers together all the studio material from this period plus the John Peel Session from September 1993, and a selection of demos taken from the box loads of cassettes and DATs in guitarist Gerry’s shed.